Awhile back I did a poll on the biggest fears grantwriters face in writing a grant proposal. Not surprisingly approaching new foundations, fear of rejection and facing a blank page were near the top of the list. After all, who hasn’t suffered writers’ block at one time or another? And, when you’ve got far too much on your plate, it’s easy to fall back on the tried and true funders – those foundations with whom you’ve built up good relationships over the years – and let new foundation prospect research slide. I was surprised, however, to find that contacting the foundation was one of the top fears grantwriters faced. But, hey, it makes sense. It’s a little like cold calling in sales – something anyone who has ever been in sales generally acknowledges is not fun. It can be rather intimidating to place a call to foundation offices. Yet, isn’t it true that by doing that which you fear, on a regular basis, you produce the greatest outcome? 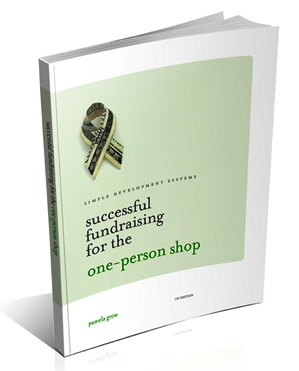 Several years ago when I was just beginning my career in nonprofit development, I had spent considerable time and effort researching a new foundation grantmaker, and that research had led me to believe that the goals and programming of our organization meshed perfectly with this particular grantmaker’s funding priorities. I spent a good amount of time drafting the perfect proposal … the quintessential cover letter … pulling together statistics and stories … only to learn, just prior to sending the package out in the mail, that the organization had applied for funding to this particular foundation. Indeed, they had applied three times – and been declined every time. I was sorely tempted to throw my hard work in the trash. Why was there no record in the database? Why hadn’t the Executive Director known about the prior proposals? 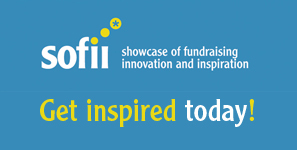 Why hadn’t the funder funded us? How did the files disappear? But the high staff turnover and lack of organization prevalent in many nonprofit organizations is not what this article is about. I promptly picked up the phone to place a call to the Foundation to learn what I could, imagining myself leaving a voicemail. Imagine my surprise when the foundation’s Executive Director, a man well known in Philadelphia philanthropic circles, answered the phone himself. He was warm and genuine and I introduced myself, explained my role in this wonderful organization and then … rather baldly, asked him point blank why they had never funded us. I scrapped the proposal and drafted a two-page letter instead and off it went. Within weeks the foundation called to schedule a site visit. We were fortunate to be able to schedule his visit during a particularly busy time in the organization’s programming. The Executive Director arrived, spent an hour watching our marvelous little program in action and we were fully funded within a week. Since then they have become good friends and regular funders and their grants have increased. Their participation has brought other funders on board. Be fearless grantseekers. It will pay off! 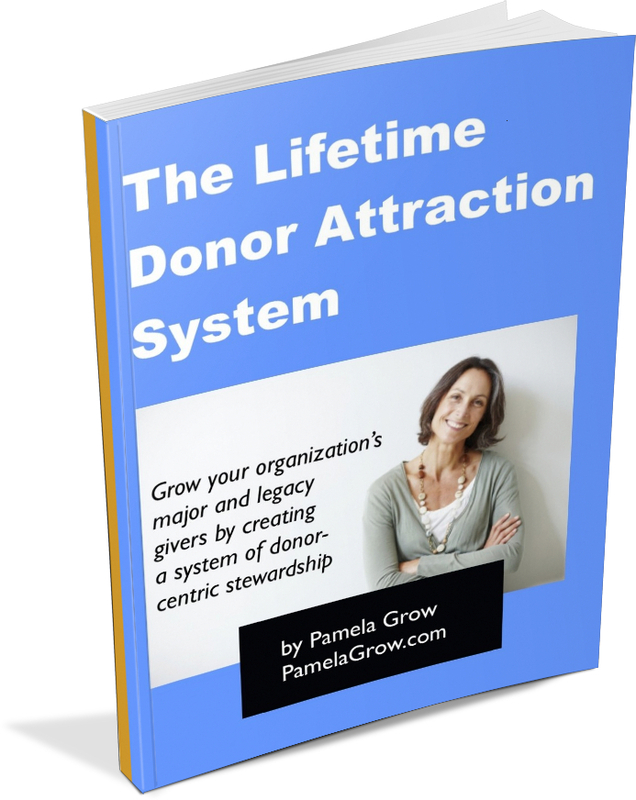 Hi Pamela, it’s so true that picking up the phone can be so powerful, especially now when some foundations have suspended their giving or are only giving to current grantees. This makes the point that developing relationships is the key to effective grantwriting and fundraising. Well done! The funder didn’t offer any guarantees, but our communication was important because it helped me establish rapport and get a feel for how much we should ask for. I have found that funders are quite receptive to questions and discussions. connect You mentioned that you sent in seven copies of the Grant Proposal. How did you determine the number of copies to be sent. I am quite new at this and have been sending only one copy.???? My experience has been that generally one suffices. You’ll find that information in the grant application guidelines for each foundation.